The Bobcat is a light-weight, portable, dry filter air sampler with a unique rapid filter elution kit. It is ideally suited for the collection of bio-aerosols and particulate matter; including sub-micron sized particles, airborne molecular contamination, and particulates. 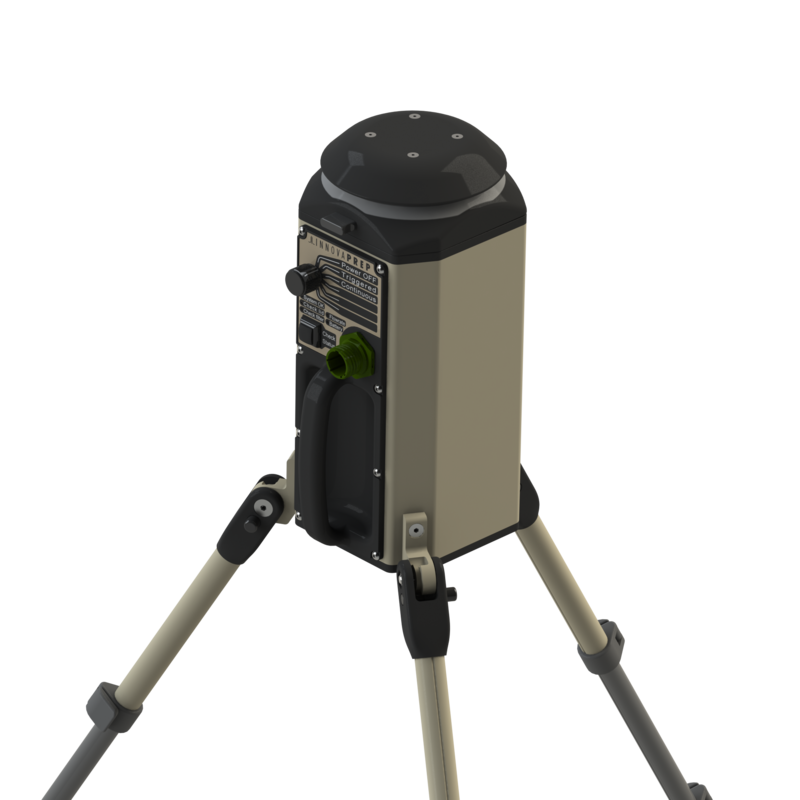 This system has been developed to address a broad range of air sampling requirements. Perfectly suited for use with rapid molecular methods of analysis. The system uses a dry 52 mm electret filter as the collection media. Electret filters are made with a combination of positively and negatively charged fibers. This substantially increases the collection efficiency of the filter and allows for the use of lower pressure drop filters which, in turn, allows for higher sampling rates for extended periods using battery power. Additional advantages include low consumable costs, ease of use, and high durability. This gives it the ability to operate at low temperatures; a limitation for most wet-wall cyclone type collectors. Following aerosol collection, the Filter is removed from the Collector, snapped onto the Sample Cup and fitted with the Elutor Cap. To extract the captured particles from the filter, the user presses a Canister containing the elution foam into a fitting on the Elutor Cap. The elution foam is released from the Elution Canister evenly through the Filter. The wet foam passes through the interstitial spaces of the filter to efficiently extract any captured particles. Sample elution takes approximately 5 seconds and produces 6 to 7 milliliters of liquid sample. The foam immediately collapses back to a liquid in the sample cup, making it available for sample processing and analysis.